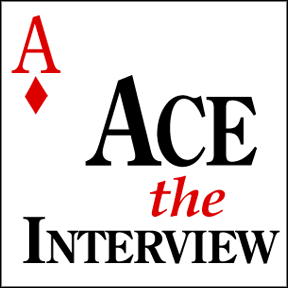 How to Ace Your Interview - Bell and Associates, Inc.
Winning teams recruit those individuals that are looking to push others forward in a way of growth. Looking for your next career opportunity means you need to find the right team. More than ever, culture fit is extremely important to make the match work. Our clients are looking for the best and each candidate brings a different skill set and passion that makes the hiring process an evolving situation. Putting your best foot forward starts with that initial interview. Below are some tips on killing the interview and standing out as a viable and worthy candidate. You know you best. Highlight your achievements and how your skill set is the need for the new position. Your past experience is valuable and demonstrates how that value will be paid out in full if hired. Employers want to see the value added for bringing you on. How will you drive the business in a way they have not had yet? All employers want someone that will be a good teammate. This is the time to show how you have collaborated with co-workers on a common project or your willingness to chip in when needed by wearing different hats. Explain how you can contribute right away and how you have taken initiative in the past for success. As much as companies want someone who can hit the ground running they love to see those associates that want to get better and grow. Talk about your development goals and wants. Recruiters and employers love to hear how you can take any position from good to great and how you plan on making that happen. Everyone likes when people are genuine. Interviews are stressful but don’t need to be. Simply being yourself and showing your personality is refreshing to stale and sometimes robotic interviews. Don’t be afraid to show your personable side along with your skill set. At Bell & Associates, Inc. we prepare all candidates before interviews in a way that ensures a successful interview. Talking through main needs, internal notes, and providing supplemental preparation documents help in making the interview as comfortable as possible. We wish you the best of luck on your job search and look forward to assisting you in any way we can!